Finally: you´re about to read the last out of nine reviews. You still don´t need to read them all, just pick the unit that seems to be the most interesting to you. During the last few weeks I´ve reviewed the following units: Kenwood DP-5090, Pioneer DV-610, Sony CDP-470, Pioneer BDP-140, iRiver IMP-550, Sony MZ-R 55, Sony MZ-R 37, Sony NW-A 1000 and the Sansa Clip+. Stay tuned and enjoy the last review: the Sony MZ-R 37! I also implore you to read the article describing my rigorous testing methodology before you actually start reading this one. Yay!! President Barack Obama has been re-elected one hour ago (at the time of writing)... I can´t tell you how really happy I am for the American people. What better opportunity to celebrate this marvellous win with the last review, the Sony MZ-R 37? 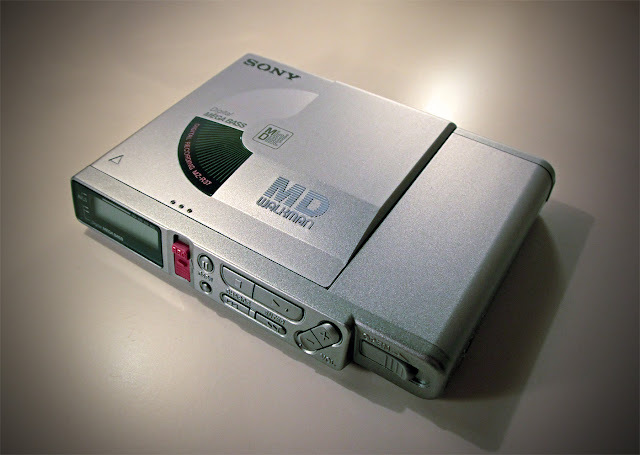 This awkward looking MiniDisc recorder was released in 1999, roughly half a year after the Sony MZ-R 55. - both however contain 90% of the same ICs. A/D-/D/A converter, ATRAC, RF amp, DC converter, System Control IC, Laser and drive mechanism are exactly the same. The amp for the line-out/headphones however is different, the MZ-R 37 apparently uses a slightly more recent IC. However, all parts have much more available space compared to the MZ-R 55, they are evenly distributed on the PCB and not so tightly packed. Both are equipped with exactly the same drive, it is clearly stated in the service manual that the MZ-R 37 inherited the fast, noisefree and reliable drive from the MZ-R 55. All of this might not interest you but you´ll find out soon enough why it´ll be important. To be honest... I never wanted to own this unit, I acquired it by accident only. It usually sells for roughly 35,- to 70,- Euros on eBay depending on its condition; so I placed a bid of just 15,- Euros. I had nothing else to do, was bored and also convinced that I´d never get it. In the end I forgot all about it. Hence my surprise: many hours later when I checked my mails I became aware that I was the winning bidder and that I also payed only 12,- Euros for a MiniDisc recorder which - when it arrived - I found to be in pristine condition. As you can see on the photos there aren´t any scratches, blemishes or dents, it really looks like new. How incredibly stupid of me never actually considering this lovely recorder because upon the touch it feels really decent, manufacturing quality is excellent. Yes, it´s lighter and bigger than the MZ-R 55 but nonetheless everything fits nicely, feels great and sturdy. 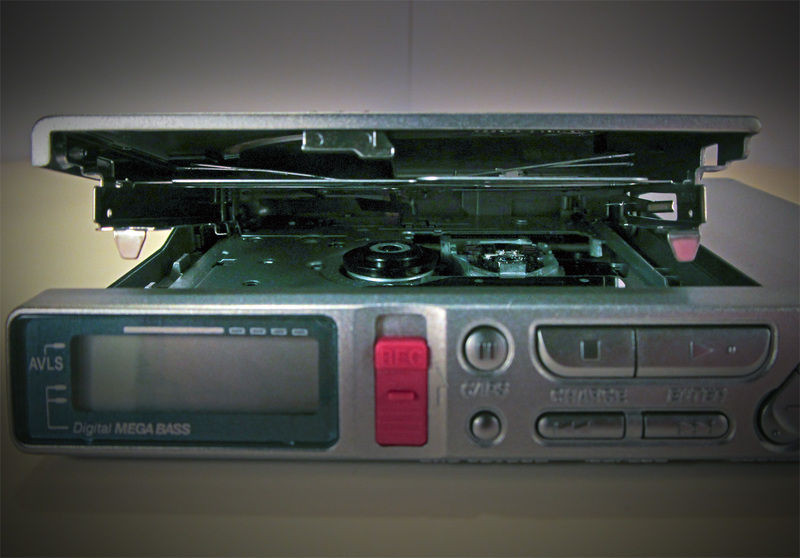 Featurewise both of them aren´t that different - the MZ-R 37 only misses an internal clock, meaning it doesn´t stamp the date of the recording onto the MiniDisc. 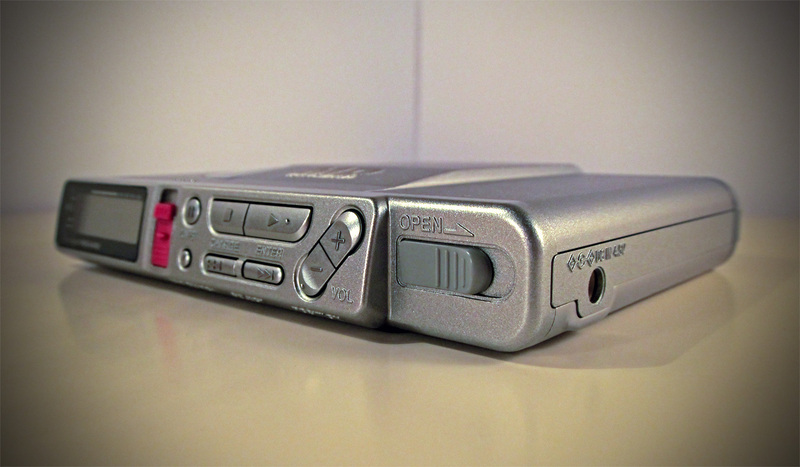 The MZ-R 37 also has the peculiar destinction of being the last portable MiniDisc recorder sporting a seperate Line-out, all others that came after either had none or combined it with the headphone output. Now you see why it´s important that I mentioned the similarities to the MZ-R 55: they measure differently despite containing the same ICs. Jitter for example is much higher on the MZ-R 37... which is very curious when keeping in mind that both feature the same A/D-D/A converter (AK4517), subsequently they should have the same amount of jitter. With the MZ-R 55 jitter probably won´t be audible, with the MZ-R 37 however it will: low frequency jitter reaches levels of -80 dB which might be responsible for its characteristic sound signature. 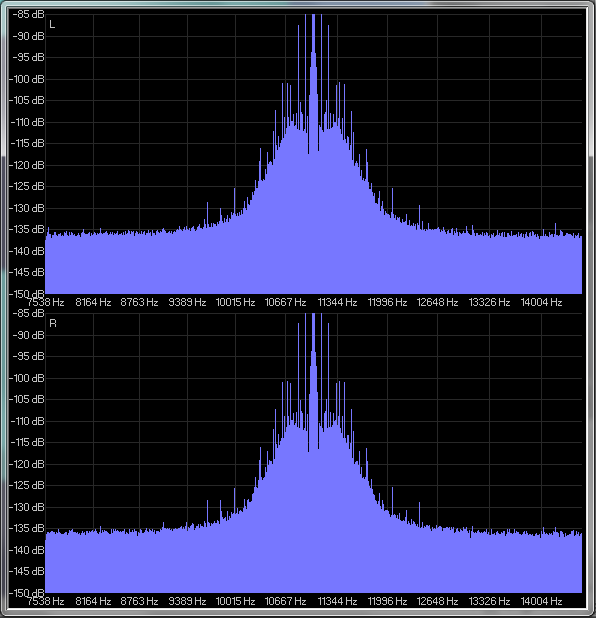 Total Harmonic Distortions are higher as well: -71.4 dB (MZ-R 55) vs. -64.3 dB (MZ-R 37). Both of them are equipped with the same ATRAC 4.0 chip, enabling recordings featuring a bit-depth of 24 Bit through their digital inputs. 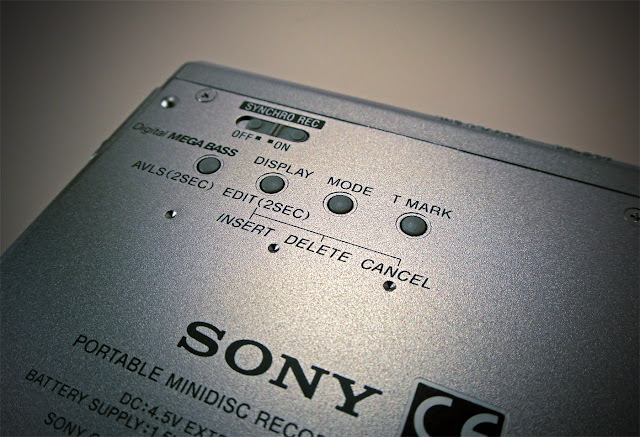 Analogue recording and playback through their own converter however will yield only 16 Bit performance (even less if you consider the mediocre noise performance). Back to the point: will the measurment differences also lead to audible differences? The Sony MZ-R 37 does indeed sound different, it really isn´t a balanced recorder. Stage for example seems rather compact and full of depth on the MZ-R 55 whereas the MZ-R 37 manages the rare feat to keep the mindboggling depth while also widening the stage considerably. The MZ-R 37 doesn´t sound close to the reference, it creates more space between instruments instead, recording venues sound much bigger albeit dimly lit. Vocalists (or everything in the center) are pronounced as well, I´m able to make out Madonna more easily, it seems as if she takes an additional step towards the microphone while everything else is placed a bit further behind. It´s interesting: this is only the second gadget I´ve reviewed that does sound forward without sounding aggressive. 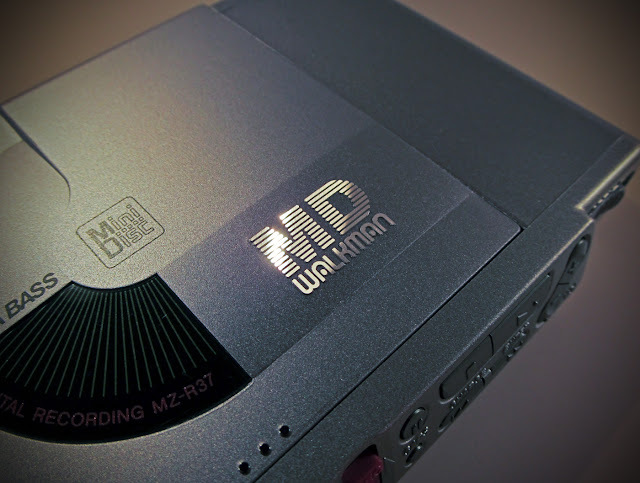 The marvellous stage and ambience performance is indeed its most appealing sonic characteristic; even though it occasionally creates disadvantages because on already very wide sounding recordings the MZ-R 37 punches 'holes' into the virtual stage which sometimes sounds odd and a bit 'empty'. It combines this with lovely dynamic capabilities: speed, pace and rhythm are a bit faster than the original, timing is rendered exceptionally well throughout all frequencies. The Sony MZ-R 37 is one of the rare units (like the Sony D-335) that doesn´t represent the truth but exchanges it with its own, convincing character, it 'lies' so well that you won´t recognize it most of the time. But when something is exaggerated another things suffers: the track from "The Girl with the Dragon Tattoo" sounds much too mellow, it looses its aggressive treble, lower frequencies are unintelligable and muddied. Deep bass is diminished as well, the same goes for treble. Transients are too lovely, avoiding a grungy or aggressive sound. Additionally, you won´t exactly marvel at resolution and precision with the MZ-R 37, details are rendered too casually for that. Despite these shortcomings this is one of the most appealing MiniDisc recorders (and one of the best 'interpreting' audio units) I´ve ever heard.